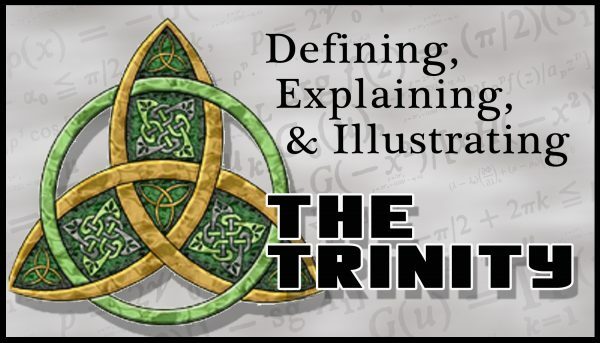 In my personal exploration of the Doctrine of the Trinity as described in Scripture, I found it to be the most complex doctrine I have ever studied. I was raised a Jehovah’s Wit­ness (JW, student of Watchtower Bible and Tract Society*, aka WTBTS) and was in that false belief-system for over 23 years. Although the JWs are opposed to the Doctrine of the Trinity, I thought I understood it from what the WTBTS taught in their publications and from my discussions with mainstream Chris­tians when going door-to-door with the WTBTS’s message. Af­ter being expelled from the JWs for worshiping Jesus, I re-exam­ined the doctrine. After much research and examining over 800 Bible verses, I became convinced of the classic Trinity Doctrine. I consider the Doctrine of the Trinity to be foundational but not essential to understand. Since the doctrine is so comprehensive, I will endeavor to explain it using far fewer than 800 verses. To explain it to non- Trinitarians—especially to the JWs—and to demonstrate it in Scripture, I find it can be done with somewhere around 20 verses to support the definition and 5 verses to help in understanding it. That is what I will do here. Remember, this is not meant to prove the doctrine beyond all question, but rather it is to define it, to show where it is clearly revealed in Scripture, and to make it understandable. Because there is so much confusion about the Trinity, I wish to first comment on what the Trinity is not. The Trinity is NOT Modalism, also known as Oneness Theology. That is a very dif­ferent doctrine; and if you wish to understand that better, you can contact groups holding that belief like the United Pentecos­tal Church or the Apostolic Pentecostal Church. These groups believe Jesus is identically the same entity as God who changes the mode (Father, Son, Holy Spirit) in which he interacts with mankind, which is an idea that Trinitarians reject. This doctrine is attacked—but not by its name, Modalism—by the WTBTS in their 1984 brochure Should You Believe in the Trinity? pages 16- 17, which is now out of print. Theologians often prefer short definitions, but the words are often loaded with theological meaning. They use the term God not as meaning a person but as meaning a nature. I found this confusing when I first heard it, so I prefer using the term Godness and avoiding the word God altogether. So to avoid misunderstandings, I will start with a longer and more precise definition; and then I will support each part of the definition with Bible Scriptures. In the One Creator are three, distinct testifiers: Father, Son and Holy Spirit, Who each equally and uniquely pos­sesses Godness. This definition will help identify the differences be­tween mainstream Christianity and other groups such as the Oneness Pentecostals, the JWs, and the Mormons (Church of Jesus Christ of Latter-day Saints, aka LDS) who all deny the Doctrine of the Trinity. There is a second part to this definition we will consider, because Trinitarians fall into two categories. The majority view among Evangelical theologians is known as the Com­plementarian View1 and the minority view is known as the Egalitarian View.2 This additional part of the definition gives the Complementarian View. The Son and the Holy Spirit are eternally subordinate to the Father. To support this two-part definition, we now turn to some Bible passages (all from the ESV – English Standard Version). Notice Hebrews 1:10 adds the reference to “Lord,” while Psalm 102:25 does not. This is because the N.T. Greek text of Hebrews 1:10 follows the O.T. Greek Septuagint (LXX) which does add the specific reference “Lord.” From the context of Psalm 102, this “Lord” must be YHWH/Jehovah (as seen in vss. 12, 21, 22). Carrying this forward to Hebrews chapter one, who then is the “Lord” in Hebrews 1:10? Is it YHWH? Since there is only one Creator, it would seem logical that it is. Does the context of Hebrews chapter one give a clue as to who this “Lord” is in verse 10? Beginning in verse 5, there are a number of O.T. verses applied to the Son of God, and this con­tinues through to verse 13. These applications to the Son are in verses 5, 6, 8, 9, 10, 11, 12 and 13; the exception is verse 7, where it specifically states it is about angels. Therefore, what is said in Psalm 102 about YHWH laying the foundation of the earth and the heavens being the work of his hands is applied to Jesus in Hebrews 1. There is no distinction made between YHWH the designer and Jesus the builder as typically claimed by most JWs. Both Psalm 102:25-27 and Hebrews 1:10-12 are about the builder who built the universe with his own hands; and in the O.T., this is the one Creator identified as being YHWH/ Jehovah (also see Isaiah 45:12). The next part of the definition says there “… are three dis­tinct testifiers: Father, Son and Holy Spirit.” This part of the definition does not say separate, but rather it says distinct. Theo­logians use the term distinct rather than separate because of the implications of the term separate. In Mark 10:9, the concept of the term separate (the act of dividing one unit into two detached units) is shown to be synonymous with divorce and implies the relationship between two individuals is damaged. So if we wish to say a married couple is composed of two separate persons with an undamaged relationship, then we prefer to use the word distinct rather than separate. Since we hold that the Father, Son and Holy Spirit have a perfect, interrelated relationship (see John 17:11, 20-23), then distinct is the right word to communi­cate there are multiple persons with a perfect relationship. We also do not say the persons are different since that, too, might imply the Father is of one kind of thing while the Son is of an­other kind. However, as we will see below, the evidence shows the Father and Son both have Godness, and thus, they are not different, but rather, they are distinct. Further, as we shall see, the three persons are testifiers (I prefer this over the term person). Testifier is a biblical term and indicates a person who is capable of observing reality and stat­ing what is and is not true. A testifier has a mind and is capable of individual actions. If someone is called upon to testify in a court and brings a puppet and makes it appear to speak, no one would accept the puppet’s voice as a distinct testifier. The testimony is invalid. Thus, the biblical term testifier captures the idea we are looking for when we use the word person. So, what is the evidence that the three—Father, Son and Holy Spirit—are each a testifier distinct from the others? You might think this is obvious; but to non-Trinitarians such as Mo­dalists (who believe all three entities are the same person) or to the JWs and Binitarians3 (who believe that the Spirit is not a dis­tinct testifier), this is not clear at all. The Pharisees believed Jesus was alone in His testimony and, therefore, according to Israelite Law, His testimony was not credible. Jesus then said in verse 16 that He was not alone for the Father Who sent Him was also with Him. Then He described His connection with His Father as that of two distinct witness bearers (“two people” in this translation: ESV). If the Father and the Son were the same person, the same testifier, then Jesus would have been alone, and His testimony would have been invalid under Israelite Law. For Trinitarians, this is solid evidence the Father and Son are two distinct testifiers. Then, notice in Hebrews 10:15 it says, “the Holy Spirit also bears witness to us.” The word “also” (Greek kai) implies this is introducing a new entity—the third in the immediate context— and is a testifier other than “Christ” (Hebrews 10:12) and other than “God” (Hebrews 10:12 – Whom we know as the Father from 1 Corinthians 15:2). This Holy Spirit is said to be the testifier (or witness bearer) Who “bears witness” in Jeremiah 31:33. But that text specifically says the speaker is YHWH. If one were to suppose the Holy Spirit Who authored Jeremiah 31 is identical to the throne’s occupant “God” in Hebrews 10:12, then why not use the same terminology God in verse 15? This leads Trinitarians to conclude that God, the Father, (the throne’s occupant in verse 13 and in 1 Corinthians 15:24) is distinct from the Son, Jesus Christ (in verses 12 and 13), Who are both distinct from the testifier, YHWH the Holy Spirit (in verse 15). The next part of the definition claims that each of the three testifiers equally possesses Godness. What is Godness? I do not use the typical term deity, because this term no longer has pre­cision and clarity in our culture and this term could potentially invoke thoughts of Hindu deities. By Godness, I mean the nature of God as found in the Bible. Trinitarians claim it is the nature of God that is equally possessed by the three testifiers: Father, Son and Holy Spirit. From verse 3 it says of the Son, “He is the radiance of the glory of God and the exact imprint of his nature, and he up­holds the universe by the word of his power.” This phrase, es­pecially the reference to “the exact imprint of his nature” con­vinces Trinitarians the Son has the exact nature of God, what I am calling Godness. Paul is asking the Philippian Christians to adopt the humble servant attitude they knew Jesus had and apply it to their re­lationships with others. This attitude comes from recognizing Jesus as having existed in the “form of God,” but He behaved as though He did not. Even though He had this “form,” He still did not exploit it—counter to humility—as the Philippians were doing. The Philippian Christians all had the same human form and were living counter to humility. They were living as though their shared “form” entitled them to an attitude of equal­ity among persons with the same “form”—humanity. Paul asks them to abandon that attitude in order to emulate Jesus Who had the same “form” of God—Godness, yet He did not behave as though that “form” entitled Him to equality with God. Instead, He emptied Himself of his God-privileges that came with being in the “form of God,” took on the “form of a servant,” and was born in the likeness of humanity (“men”). Did Jesus truly pos­sess the likeness or form of humanity? Yes. Therefore, He must have truly possessed the likeness or form of God—Godness. Now list things like: The Father, the Holy Spirit, angels, stars, humans under the appropriate columns. Lastly, find the appropriate column for Jesus. However, note we learn from John 1:3 that there cannot be anything in the column that says, “All things created (without agency of Jesus).” Jesus also cannot be listed in the column “All things created with the agency of Jesus,” because Jesus could not create Himself. Therefore, Jesus was not made and is under the same column with the Father and the Holy Spirit. The above three passages support the case that the Father and the Son both have the nature or form of Godness. Peter claims Ananias has lied to the Holy Spirit, and this is lying to God. If any person other than the Father, Son and Holy Spirit has Godness, then our definition is invalid. So, do angels have God­ness? In the One Creator are three distinct testifiers: Father, Son, and Holy Spirit, Who each equally and uniquely pos­sesses Godness. If I encounter anyone who has a disagreement with the Doctrine of the Trinity, I have them identify with what part of this definition they disagree, and then we examine the sup­porting Scriptures. Within the Evangelical Trinitarian camp are two views: Egalitarian and Complementarian views. The Complementar­ian View is the majority view among Evangelical scholars. This view holds that the Father is the final-decision-maker and has the highest rank and authority over the other two testifiers. The other two testifiers are eternally subordinate. This is also sometimes referred to in scholarly literature as “the eternal subordination of the Son.” In contrast, the Egalitarian View holds that the Son is temporarily subordinate to the Father and only as part of the Plan of Redemption. If you present the Complementarian View to a JW, you will meet with much less resistance. Therefore, if you hold to the Egalitarian View, I recommend that you at least mention the Complementarian View. This is the reason for my addendum to the previous definition. If you wish to compare these two views, you can listen to a debate on the internet that was held on October 9, 2008. It was over two-hours long and involved four seminary professors— two supporting each view. Each professor either was or had been a professor at Trinity Evangelical Divinity School. You can find this debate on the internet by searching for “TEDS Trinity debate audio Ware” (one of the debaters was Dr. Bruce Ware). How can three persons be one? In what biblical sense does one, plus one, plus one truly equal one? Is there a biblical illustration to make this easier to understand? I am not in favor of the non-biblical illustrations. They may be easy to use and appealing, such as the water illustration— water is solid (ice), liquid (water) and gas (steam), but I do not recommend any of them. They do not offer a precise explanation of what we mean. The water illustration is somewhat close; be­cause in all three forms, the water has the same nature—that of water—but functions differently. There is another illustration that is definitely not Trinitarian. This illustration says, “I am a father, because I have children. I am a husband, because I have a wife. I am a son, because I have a father. But I am not three persons; I am only one.” This does not illustrate the Trinity; it illustrates Modalism. If you can understand Adam and Eve, you can understand the Trinity. Let’s read about Adam and Eve in the Garden. Here the Bible describes something that is to be understood by all: Two persons can become one. One person plus another person can become one flesh. The text says, “When God created man, he made him;” how many persons does this say God created? How many is this? This is one specific person, whom we know as Adam. Then in the rest of the passage it says, “Male and female he created them, and he blessed them and named them Man.” To whom does this “Man” refer? Humanity, the nature —Humanness— possessed by the two persons God created. How many make up this “Man?” Two! There were two persons here called “Man.” Is this concept borrowed from pagan ideas or from Greek philosophy? No, this is found in the beginning of the Bible! No one inserted this to support the Doctrine of the Trinity. In Genesis 5:1, the term man identifies a single person; but in verse two, the term man refers to a nature. Remember this as we continue; it is a key concept. This is talking about the first couple, and Jesus said they were no longer two. What did Jesus mean when he said, “they are no longer two?” He meant they were two, but then they be­came one. They started out as two what? Did He mean they were two persons, and now they are no longer two persons but one person? That does not seem right since they still look like two persons. So apparently, this does not mean they are now one per­son. So what was it that had twoness before, and then became one through marriage? So one relationship plus another relationship equals one merged relationship. One plus one equals one. Is this pagan arithmetic? This is Jesus’ arithmetic! I think this is something simple enough that a child can understand it, and it is biblical. So in the Garden, Adam and Eve became one thing—one flesh. First of all, they shared the same nature—humanness. They were both human. Eve was genetically related to Adam since she was made from his rib. Eve was not more or less hu­man than Adam was. This kind of unity based on nature (ontol­ogy4) is called an “ontological unity.” Secondly, they were joined as one in a special relationship that went beyond their shared hu­man nature—humanness, and this special relationship required all others to relate to them as a single entity. This was a “social unity.” This is the illustration I prefer, and it is a biblical illustra­tion. Do you recall Genesis 5:1, 2? God made them “Man?” Do you understand what the above sentence is saying? Do you see how in the light of Genesis 5:1, 2 this is true? But if I reword this to say, “… the woman was a Man,” would it still be true? No, because the woman was not a man, she was a woman. She was to become “one flesh” with this man and be in a special merged relationship. What if I reword this to say “… the woman was the Man,” meaning the same man she was with? Would that still be true? That sentence does not even make sense. How could she be the same identical person with whom she also was? So this phrase does not work with either “the woman was a man” nor with “the woman was the man.” This only makes sense if we say, “the woman was Man,” that is, she was man by nature—humanness and was man by a special united relation­ship with the man. This explains the kind of unity—the kind of oneness— be­tween the Father and the Son. Jesus says in prayer to His Father that the kind of oneness they possess is the kind of oneness Jesus requests for all His followers. This kind of unity must be based on more than just having the same human nature—humanness, which is common even to those who do not believe in Jesus. This unity is more, since it reflects the spiritual unity—the spe­cial relationship possessed by the Father and the Son. This unity is more than ontology; it is a social relationship. The Father and Son are so close, that Jesus could say the Father was in the Son and the Son was in the Father (John 17:21). This is the kind of closeness Jesus is requesting His followers to have one day in perfection, including all those who would come to believe in Je­sus through the message of the Apostles (John 17:20). This passage cannot mean the Father and the Son are the same person. Jesus’ request, in prayer, was that the same kind of oneness eternally experienced by the Father and Son was what Jesus wanted for all His followers, although they are not eternal like God is. If the Father and Son are the same person, then Jesus would have been requesting that all His followers would one day truly become a single person. Rather, this is a uniting of a collec­tion of distinct persons. This alone refutes Modalism. To summarize: The three Testifiers are one both in nature— Godness (the Ontological Trinity—based on Philippians 2:6; He­brews 1:3) and in social relationship (the Social Trinity—based on John 17:11, 20-23). Does this allow for “the Word was a God?” No. Just like we saw previously, Eve was not ‘a man’ distinct from Adam. Like­wise, as we saw previously in Isaiah 4:10, no individual testifier was ‘a servant’ distinct from the whole. So here in John 1:1, “the Word” is not a distinct God from the God with Whom He was. “The Word” is united in both nature and in relationship with God. Does this verse allow for saying “the Word was THE God?” No. For the same reason we said Eve was not THE Man—the man with whom she was. That would not make sense to say the Word was with (the) God and was that same God. How can He be with Himself? But as was mentioned earlier, there is a theological position that holds to this view: Modalism. Modalism claims that the Word, Who is the Son, Jesus, is identically the same person as God just acting in a different mode. There is no distinction. This is more than saying the Word has the nature of God and is to be viewed as if united with God. No, this view claims the term God in John 1:1 refers not to a nature or a relationship but to a single person. Adherents claim this single person manifests Himself in any or all of three modes: Father, Son, or Holy Spirit, but this is still only one person, one testifier. Does this sound odd that in the same verse the same noun “God” can in one case be a person and in another case be a na­ture? Do we see this in Scripture? We did in Genesis 5:1, 2. … When God created man, he made him in the likeness of God. Male and female he created them, … and named them Man. In Genesis 5:1, the term “man” was applied to a single in­dividual and referred to as “him.” But in verse 2, God names them both “Man,” which refers not to an individual, but rather to a couple who shared a single nature and to whom all outsiders would relate to as a single entity. Does the WTBTS (aka JWs) teach “the Word” has the nature of God? In print, they have implied such. In the 1985 edition of their Kingdom Interlinear Translation (KIT, now out of print), on page 1140 of the Appendix and also in their 1984 New World Translation Study Bible (pg. 1579), they at­tempted to support their translation of John 1:1 by quoting an article written by scholar Philip J. Harner for the Journal of Biblical Literature, (Vol. 92, 1973). There he discusses claus­es like John 1:1 and says this on page 85 of that article, which portion they quote in the KIT: “They indicate that the logos [Word] has the nature of theos [God].” There it is: The Word has the nature of God. This quote was intended to be support­ive of the WTBTS’s own translation of John 1:1; and in using it, they do not make any negative comment. This must have slipped through the WTBTS reviewers. Harner’s full article is not quoted; but if it were, one would find he explains John 1:1 cannot mean “the Word was a God” nor can it mean “the Word was the God” for reasons like those given above. Normally, the word is means identically the same as. But Christians do not mean to say Jesus is identically the same as God—although Modalists affirm this. On pages 264-266 of his 1995 book God in Three Persons—A Contemporary Interpreta­tion of the Trinity, Millard Erickson comments on this issue and points out that the word is can have different uses. In his list, he cites three uses; the third he calls the ‘is’ of predication,” and this is what is meant when Christians say “Jesus is God.” This is similar to saying “my car is red.” I can have several cars that all have the exact same color—red, but they are not the same car. There are multiple cars but only one red color. Likewise, when we say “Jesus ‘is’ God,” we mean Jesus has the very nature of God. There are other persons distinct from Jesus Who are also properly called “God;” yet there are not multiple Gods, there are not multiple natures, there is but one God—Godness. This is the one nature that is shared by the Father, Son and Holy Spirit. In this phrase (‘Jesus is God’), the term God is a qualifier, not an identifier. The Son, Jesus, is equally God, but not the same per­son as either the Father or the Holy Spirit. This is why I use the term Godness in my working definition of the Trinity. Now let’s examine two passages the WTBTS teaches the JWs to use in order to challenge the Doctrine of the Trinity. Does this mean the Father alone is the only “true God,” and no other person can properly be called “true God” as the JWs typically claim? [See the WTBTS 2005 publication What does the Bible Really Teach?, page 152, paragraph 17] Since John 1:1 says Jesus is God, what kind of God is He? Is Jesus a true God or a false God? If there is only one true God—the Father, and Jesus is a true God, then He must be included in the “only true God” along with His Father. So, even the WTBTS has a problem here, since they do teach that Jesus is “a god” (their translation of John 1:1) but not a false god. To understand John 17:3, we first ask if this is speaking about ontology (nature) or something else? Is Jesus saying only the Father has the true nature of Godness, or is He referring to some other quality associated with being the “only true God?” The answer is found by noting that Jesus refers to Himself as being the One Whom God sent (“and Jesus Christ whom you have sent”). This is not a distinction of nature, but rather it is a distinction of function and rank. Functionally, Jesus is the One sent; the Father is the sender. This has implications for a difference in rank. Note how Jesus refers to the sent One as being a “servant;” while the One Who functions as the sender is greater in rank. Is Jesus ever the sender? Yes, Jesus sends his disciples into the world to deliver the Gospel in John 17:18 (“As you sent me into the world, so I have sent them into the world.”) and in John 20:21 (“… As the Father has sent me, even so I am send­ing you.”). But it is the Father alone Who is always the sender and never the One sent, and always has the higher rank. What does all this tell us? In the Book of John, Jesus is re­vealed functionally as a servant, as one who is sent and, there­fore, of lower rank. The attribute of being sender is always as­sociated with the One True God. The Book of John also reveals Jesus as having the nature of the Father (John 1:1), as the agent Who created all things (John 1:3), and as One to be honored just as much as the Father (John 5:23). Do these revealed concepts contradict each other? No, the functionality the Son has is a dis­tinction within the Ontological Trinity. The Son has the nature of Godness, but He does not always function as the Father does. The Father always functions as the One with the highest rank—as the One Who sends; while the Son is the servant Who is sent. Thus in prayer in John 17:3, Jesus distinguishes Himself from the Father functionally, not ontologically (in nature), and He identifies the Father alone Who epitomizes Godness as the One Who is the true God Who sends; while He (Jesus) is the One Who is sent. John 17:3 does not say the Father alone is the “only true God” (excluding the Son and the Holy Spirit). The Father is the “only true God,” and Jesus is also the “only true God” (in nature). Compare this to the opening words of John 1:1-4, and you will see the parallels. And this is the testimony, that God gave us eternal life, and this life is in his Son. Whoever has the Son has life; whoever does not have the Son of God does not have life. I write these things to you who believe in the name of the Son of God that you may know that you have eter­nal life. … And we know that the Son of God has come and has given us understanding, so that we may know him who is true; and we are in him who is true, in his Son Jesus Christ. He is the true God and eternal life. So “in” whom are we? The text answers: We are “in” “Je­sus Christ.” It further says, we are “in” “him who is true.” Thus, Jesus is “him who is true.” Then the verse continues: “He is the true God and eternal life.” Who is the “eternal life?” As we saw above, this is Jesus. Who is it that is “him who is true?” Again, we saw this was Jesus. So who is “the true God and eter­nal life?” This, again, must be Jesus. The references here to God and the Son make no distinc­tions between any functionality or rank. So the identity of “true God” can apply to either person: the Father or the Son. We typically say an essential attribute of Godness is being all-knowing. Yet this text says Jesus—or some part of Jesus—is NOT all-knowing, because He does not know the timing of His Second Coming. How do we explain that some part of Jesus’ mentality is not all-knowing? Throughout history, the majority of theologians have given an answer that explores the union of the two natures of Jesus: Godness and humanity—humanness. I think a better answer is found in exploring the meaning of the word knowing. This same Greek phrase “no one knows … but …” is found in two other places in the Bible—both in Revelation. So other than this person, does anyone else know (or is aware of) this name? Is this name known only to Jesus (the giver) and the recipient? Does the Father know it, too? Since the Father is all-knowing, we would expect that He does. Yet the verse says, “no one knows except the one who receives it.” How is it true then that no one knows the name except the recipient and Jesus? So other than Jesus, does anyone else know (or is aware of) this name? Is this something only Jesus knows and not the Father? If we compare Mark 13:32 with these two verses in Rev­elation, it seems there are things only Jesus knows and there are things only the Father knows. Then Who is all-knowing? The answer is that this phrase, which occurs these three times in the NT, “no one knows … but” has a special meaning other than “no one is aware … but.” This knowledge is not an awareness of information; rather it is something very personal and experiential. Consider this: Did the Father experience death on the cross? No. Does the Father know the cross in the same way and to the same extent as the Son does? No. The Son knows the cross in a way the Father will never know it, because the Son alone experi­enced the cross. So when Mark 13:32 says the Father knows that day and hour, and the Son does not; that—like the two examples in Revelation—means the Father alone has some kind of special, personal knowledge regarding the Second Coming. Here the disciples again are asking about the timing of the same event as in Mark 13:32—the Second Coming of Christ and the restoring of the Kingdom. Jesus’ answer here is that it is not for the disciples to know when this will be. He gives no further reason why they cannot know it other than to say it is because the Father has decided the time on His Own authority. This re­sponse is also similar to the answer Jesus gives in Mark saying that others do not know the timing, which belongs to the Father alone. The knowing of the time as mentioned in both accounts is restricted to the Father alone. The knowing of the time in Acts refers to the authority the Father has in setting when it will oc­cur—an authority no one else has, not even the Son. Between Mark 13 and Acts 1, we see the same question and nearly the same response. Jay Hess is currently the teaching elder and director of dis­cipleship at Grace Christian Fellowship church in Garner, NC. 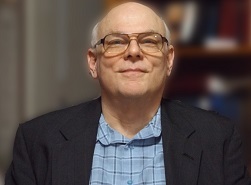 He is also an associate member of the Evangelical Theological Society. Prior to becoming a Christian in 1992, he was a mem­ber of the Jehovah’s Witnesses for 23 years and was briefly as­sociated with the Watchtower Bible & Tract Society’s writing department. He can be contacted at jhess@nc.rr.com. © 2016, Midwest Christian Outreach, Inc. All rights reserved. Excerpts and links may be used if full and clear credit is given with specific direction to the original content.